You'll be £14.99 closer to your next £10.00 credit when you purchase Rebuilding Post-War Britain. What's this? 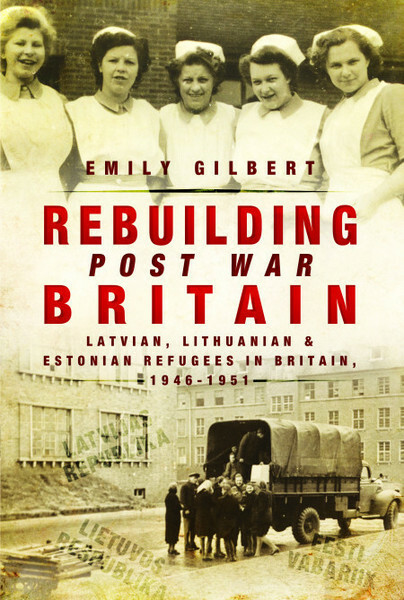 After the Second World War, thousands of Latvian, Lithuanian and Estonian refugees, uprooted by war and conflict in their homelands, were recruited from Displaced Persons Camps in Germany to fill labour shortages in Britain. This unknown episode in Britain's immigration history is brought to life in this book, through interview extracts and documentary sources. Women were the first recruits to the so-called European Volunteer Worker Schemes, in which 25,000 Baltic men and women came to Britain between 1946 and 1951, to work in hospitals, textiles, agriculture, coal mining and other undermanned areas of industry. Initially regarding their stay in Britain as temporary, a majority of these Latvian, Lithuanian and Estonian men and women remained in Britain their whole lives. Recently joined by more migrants from the Baltic States, this book tells the story of Britain's Baltic communities, from the earliest accounts of their arrival in Britain to the present day. This is a very interesting and enjoyable book. I think if you are interested in the history of this area of Europe it should definitely be on your list of books to read. A successful blend of academic research and popular writing. WDYTYA? Magazine, September 2017 – reviewed by Jad Adams. The not insignificant matter of East European immigration into Britain has evidently happened before. Germany was in ruins, Britain was largely unscathed, although some towns and cities suffered more than others, of course. Emily Gilbert described how the Eat Europeans found the prospect of settling in and working in Britain appealed. A fascinating and unknown slice of British social history.